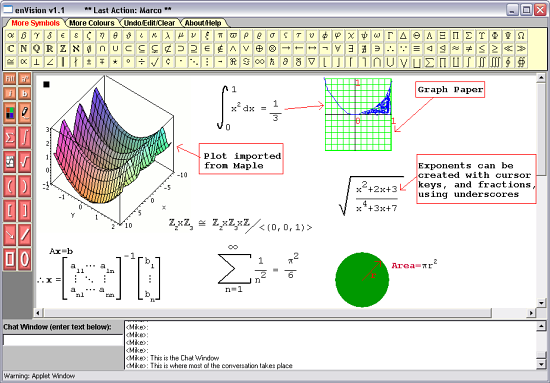 enVision XPRESS is a new type of equation input interface that is aimed at novice users. 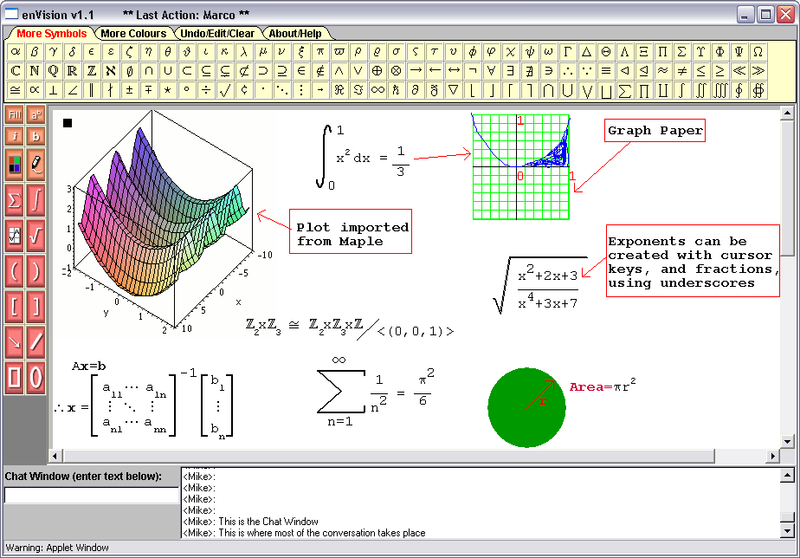 It is essentially a hybrid of a traditional structure-based input system, such as that found in MS-Word, and a pen-based input system. With this interface the user can quickly lay out, without constraint, the expression with drag-and-drop symbols. The expression is then converted to TeX using a spatial analysis algorithm. A paper describing it's principles was presented at MathUI'07. A Flash video is also available. Xero is an interactive and adaptive learning environment that is currently under development. It will be available under a GPL license. A developer version will be a available for download soon. 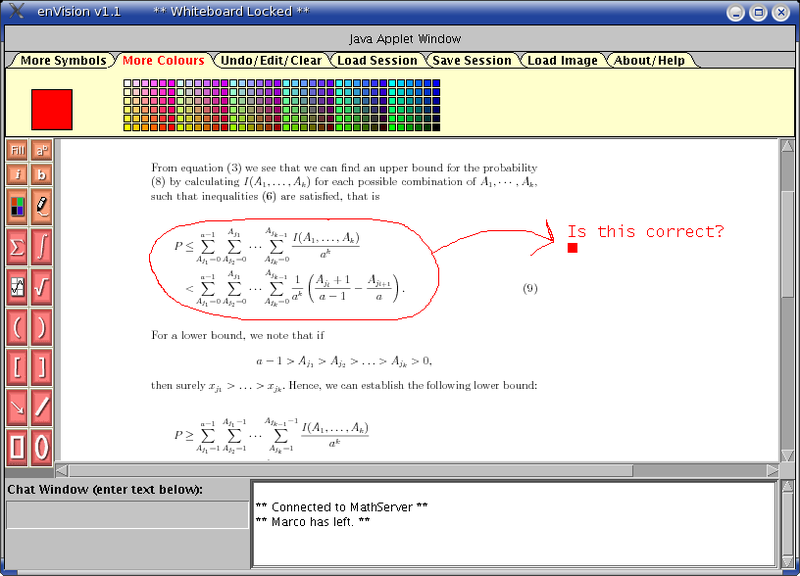 enVision is a shared whiteboard with special capabilites for the live communication in the mathematical sciences. 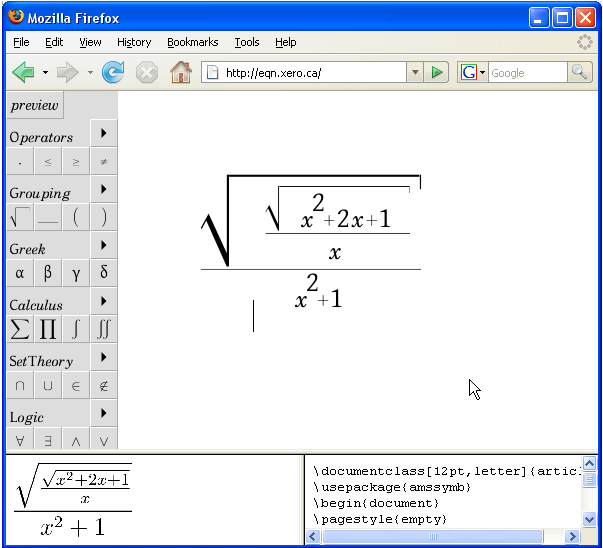 It is Java-based and runs in a standard Web browser. See the screenshots below to see what it is capable of, or try a live demo.